This road is of crucial importance to Nepal as it carries a very large amount of goods from China. However, even before the earthquake this was a very landslide prone section of road, and indeed it was closed for much of last summer by the Sunkoshi landslide. But in particular the 20 km or so of road leading up to the border is to all intents and purposes dominated by landslides. The road stretchbetweenChakutoLiping Bazaar is full of landslides and very risky to drive through…Faults had appeared on boulders, land stretches were split and a number of dry landslidesweretrigged during the aftershocks and in the aftermath. Though, these had subsided with the decreasing frequency of the aftershocks lately, continuous rainfall in the cracked area, have made it more prone to landslides.Sludge like landslideshas been flowing down theTatopani,Kodari andLiping Bazaar. The debris brought along by the landslides has accumulated along the road in many places. Mud and clayis deposited in homes and the river is floating against its course, at some places even on the road itself. The houses thatwere spared by the quake now face serious threats from the landslides.Over 3000 Larcha and Liping residents of the area were evacuated following the May 12 aftershock and were relocated in make shift tents in Kathmandu. The latest landslide fear has seriously dashed off their hope to get back home. The Miteri Bridge that connects both the nations has been padlocked. The busy commercial town of Khasa Bazaar remains empty and closed since the past three months. Billions worth Nepali traders’ assets are in danger. 430 consignment containers are stuck on the Chinese side. Efforts of Nepali businessmen to clear the landslides and start the transportation have failed to bear fruit due to the fresh landslides, almost every day “With the commerce going down in Tatopani, Nepali traders have started facing hardships,” Arjun Sapkota, a Khasa based trader said while elaborating on the impact of quake and the most recent landslides on the business. So what next? It is hard to know given that the monsoon has hardly got going in Nepal as yet. But I would expect a wave of landslides in the first period of heavy rainfall, and then further significant landslides if and when very intense rainfall events occur. We must hope that the area is spared a true cloudburst type of rainfall event – the consequences in terms of landslides could be just as bad as the earthquake itself. It is going to be a case of trying to get through the next four months; thereafter a very major effort is going to be needed to secure the road before the monsoon next year. Appreciate your posts and your insights about causes of landslides. 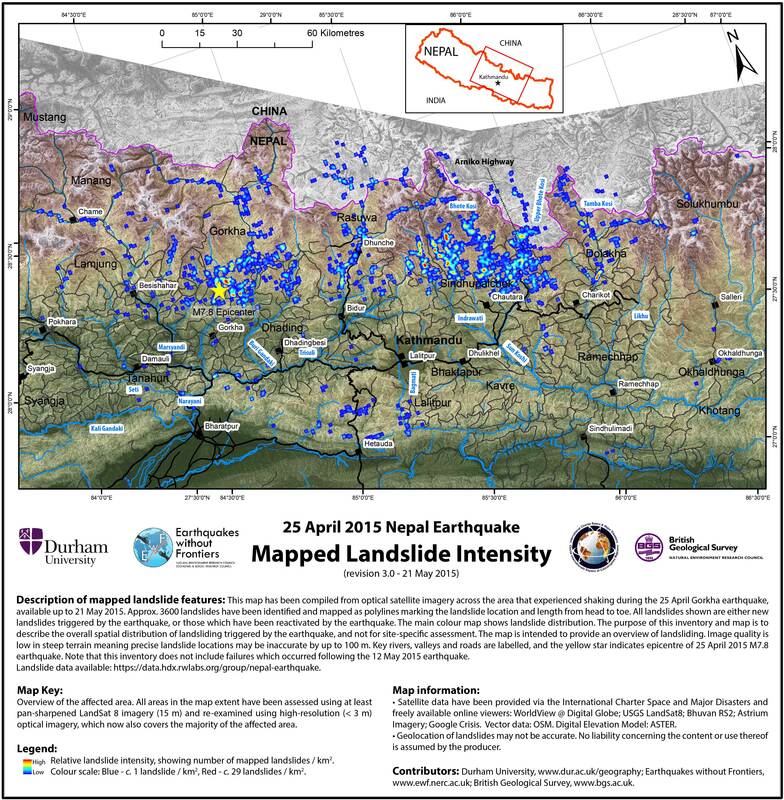 As you have pointed out, the fear is that the EQ affected regions especially the northern part of the district could result in massive scale of landslides, and the rest of the areas with cracks on the ground also may result in large scale debris flow. As far as I know, the region is not normally known for cloudburst, like those in parts of Makawanpur – south of Kathmandu, or in some parts of Dolkha. However, with the kind of monsoon pattern that we have seen in the past few years with unexpected downpour, one has to be prepared for the unexpected.